Among many other improvements in record players, USB connectivity is considered to be the best one. Perhaps, this is the main reason why record players came back in demand and they’re being sold more than any other music players. The reason for associating USB feature can be anything, but most people say, it’s done to help old music lovers listen to their 45s and experience the same sound quality. How are these gadgets different from ordinary record players? What can they do that other models can’t? What are your options for reliable USB record players? What’s So Different About USB Record Player? There are few record players that are also compatible with Linux and other operating systems. As you can connect these gadgets without bothering about RCA output or microphone jack, they are commonly known as USB record players. You cannot directly convert Vinyl music to digital files, such as WAV or MP3. For this purpose, special software are there to help you out. Vinyl-to-MP3 conversion software also helps you clean up unnecessary noise (skips and bumps) that your old 45 rpm record generates on turntable. USB record players have built-in software, saving your time of downloading one and then synchronizing it with your device and the computer. It depends upon the quality and reach of the software how deep you can go and create the best MP3 format out of your vinyl album. Normally, most of the USB record players use “Audacity” software. The reason you’re reading this post is, you need a record player that keeps you from installing additional drivers and software for sound conversion. USB record players have Plug-N-Play nature, making conversion fairly easy. The software will start automatically (depending upon your preferences) on the computer. To set the software preferences, follow simple instructions on the screen. That mean, you don’t need to master everything when you have a USB record player. Even if you’re doing it for the first time, you can convert the entire album easily. 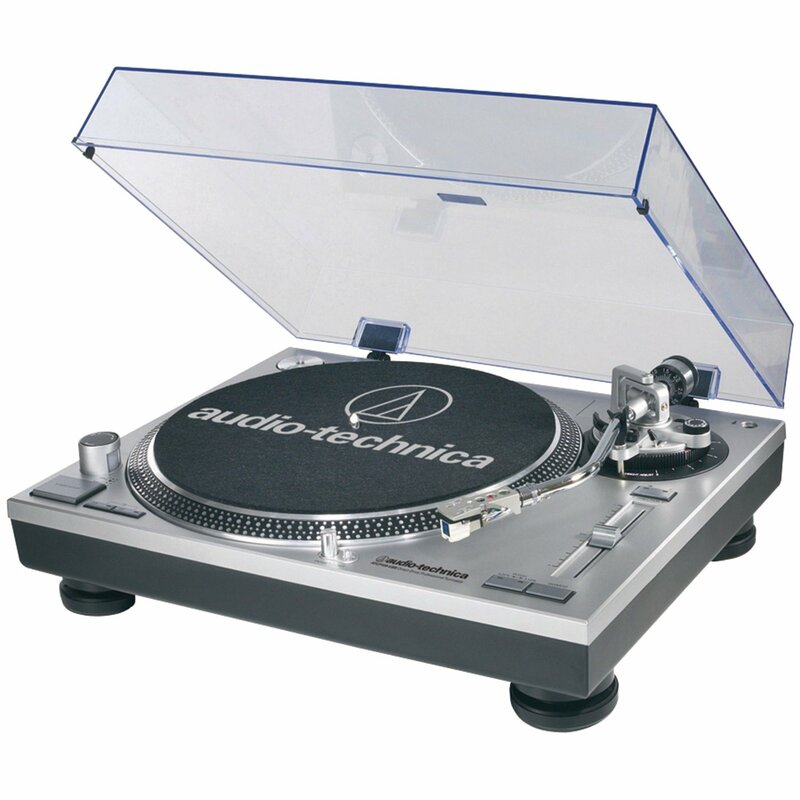 One of the best and the most popular USB record player brand is the ​Audio Technica. It has offered some great USB record players, such as Audio-Technica AT-LP120-USB and Audio-Technica AT-LP60-USB. Expensive models from Ion have a capability of recording vinyl music directly into your iPod, saving your time of creating MP3 file in your computer first, then loading it into the iPod. It’s just like making the time still once again when these modern USB record players convert music format from 78s, 45s and 33s into digital format as simply as it can get. USB record players may have the latest technology but they don’t cost as high as you think. Price range is quite large. The cheapest USB record player is available at around $50. Although, the device may not have the built-in speakers or one or two extra features, but you can still connect the speakers and listen to your favorite music. If money is not an issue, you can buy a professional USB record player with high-end features, such as crystal clear sound, manual to automatic functionality, optimum vibration control and built in software. Plus, you can directly record the vinyl album to your tablet, PC or iPod without connecting any conversion device. The price for professional record players with USB connectivity can go beyond $450. If you have ample amount of time to convert the entire vinyl library into MP3 formats, it is recommended that you get the USB record player capable of running at all speeds: 33-1/3 rpm, 45 rpm and 78 rpm. Some record players are not the flexible. If, by chance, your USB record player does not support any of the speeds, you need to buy a software that can support the format that cannot be played on your record player. Now, that you know all about USB record players, buy the right model and take out all of your old favorites to listen to them in a modern way.